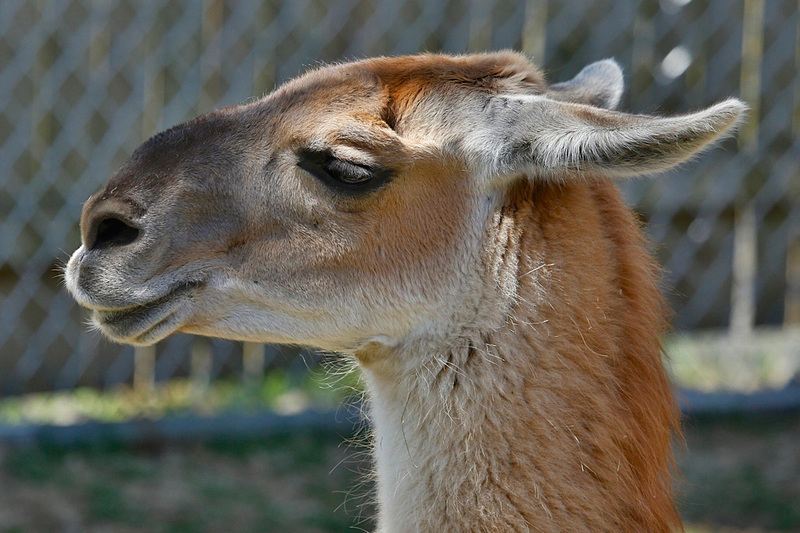 The Llama is related to the camel but Llamas do not have humps like camels. They can carry up to 75 pounds and walk about 20 miles a day carrying that load. If overloaded a Llama will lie down, refuse to move and even spit at, hiss at, or kick their humans. Llamas are like cows in that they regurgitate their food and chew it as cud. They chomp on the wads of cud for some time before swallowing them for complete digestion. Llamas can survive with very little water but because they do not have water storage systems like their camel cousins they prefer to be close to water. Like camels they can collect moisture from the food they eat. DESCRIPTION: Llamas have thick, soft furry coats. They are tan, white, brown, gray or black. Their fur may be a solid color or a mixture. They do not have hooves but their feet have soft, leathery pads and two toes with toenails. Their ears are shaped like bananas – long and curved inward. They have elongated faces and large nostrils. They are divided into two groups depending on their fur length. 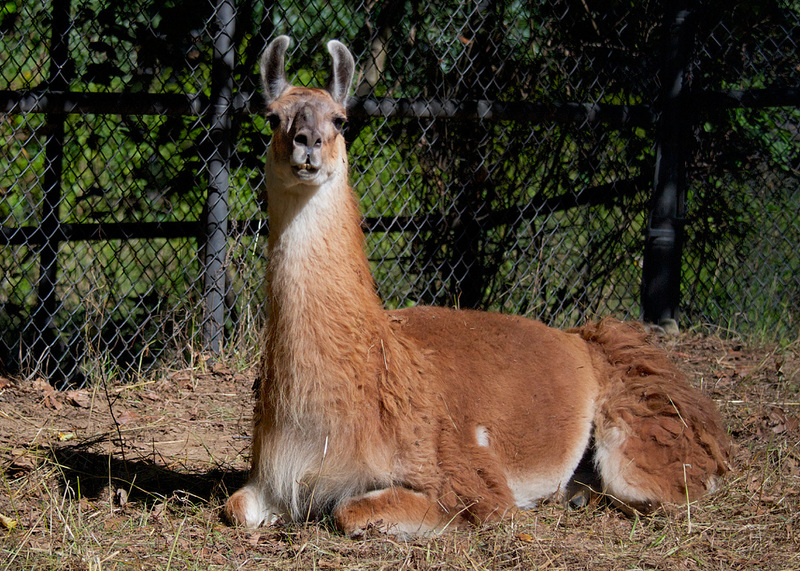 Short-coated Llamas are called Ccara and medium-coated llamas are called Curaca. They are gentle but hard working animals. Llamas communicate via nuzzles, body postures, and hums. They can also make a loud, shrill cry when frightened. They have excellent senses of hearing, sight and smell. Llamas weigh up to 400 pounds. Adults are up to six feet tall. RANGE: Llamas live in the Andes Mountains of South America. HABITAT: They prefer mountainous terrain whether mountainous deserts or grasslands. FAMILY LIFE: Llamas are very sociable animals. They live in herds. Females, called dames, give birth to one offspring, called a cria, each year. They give birth while standing and the crias are able to stand and attempt walking within an hour of being born. Male Llamas are called sires. LIFE SPAN: The average life span is 20 years.